Great News! Once you complete our Online Driver's Ed Course or if you've taken your course from another provider, you're eligible to take your Permit Exam online too! Why waste time in a crowded classroom or long lines at the DMV? Why waste hours studying the DMV handbook? Try one of our easy and comprehensive online DMV Learner's Permit Practice Tests instead. Our practice tests feature the same road rules and road signs content from the DMV handbook only we present it in a much more efficient and easier-to-learn format. Helpful hints from a parent's point of view. This handy guide was designed to be a teaching tool for parents who understand the value of quality instruction and are concerned with their teen's driving safety. Developed by Driver Improvement Expert Instructors that have been certified by the DMV, this guide provides a practical, step-by-step approach to instructing your teen how to become a Safe Driver through behavior, attitude, skills, and experience. Help your teen continue to be a smarter, safer driver. Each month the National Safety Commission publishes a newsletter for teens and parents designed to improve teen driver behavior, attitude, skills, and experience. This monthly bulletin helps keep responsibility and safety on the minds of new drivers. When you subscribe to our monthly bulletin you'll get our Parent-Teen Driving Contract free of charge. 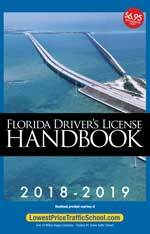 This contract is based on the core principles of the DMV Handbook and Florida's Graduated Licensing laws. It was designed to keep teens and parents on the same page when it comes to driving instruction. How Do You Keep Parents and Teens in Agreement about Driver's Ed? Put it in Writing. That's How! This contract is based on the core principles of the DHSMV Handbook and Florida's Graduated Licensing laws. It was designed to keep teens and parents on the same page when it comes to driving instruction. Just fill it out, then both sign the agreement and refer to it whenever there is a questionable issue. It's that easy! Prep Course for DMV "Behind-the-Wheel Driving Test"
Pass your Driving Road Test the FIRST TIME! 100% Online - Practice as many times as you need too! 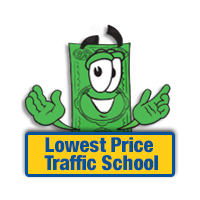 You may attend Traffic School at NO additional charge (except a $2.50 state assessment fee required by the State of Florida).